Are you in the market for a reliable pre-owned vehicle in the Edmonton, AB area? If so, you are in luck, as there are many excellent pre-owned vehicles currently available in the Edmonton area. 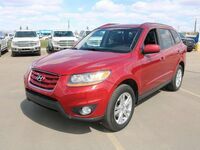 One of the very best pre-owned vehicle inventories in Edmonton can be found at Go Auto Express. The Go Auto Express inventory features several excellent pre-owned Hyundai vehicles. 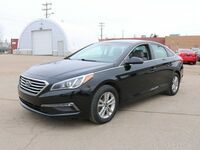 Hyundai has several tremendous pre-owned vehicles for customers in Edmonton to explore. Hyundai has become one of the top automotive brands in the past decade. One big reason for the brand’s success is their commitment to designing and manufacturing vehicles that last much longer than previous models. As a result, there are many reliable pre-owned Hyundai vehicles on the market today! Let’s take a look at some of the best pre-owned Hyundai models customers can find in the area. If you are interested in exploring the excellent pre-owned Hyundai vehicle inventory available at Go Auto Express, then you should contact our staff today! Our team is happy to answer any questions you have about our pre-owned Hyundai inventory. Visit our dealership in Edmonton, AB today!